The Successful Transition and Enhanced Preparation for Undergraduates Program (STEPUP) recognizes talented students and provides them with enriching academic, professional, and personal development experiences that promote success in engineering. All students in the program become part of a unique cohort of fellow students with peer and faculty mentors. The rigorous activities and shared challenges of STEPUP enable each cohort to develop a commitment to active and informed togetherness as the students progress through their engineering studies – which forms the heart of the STEPUP experience. 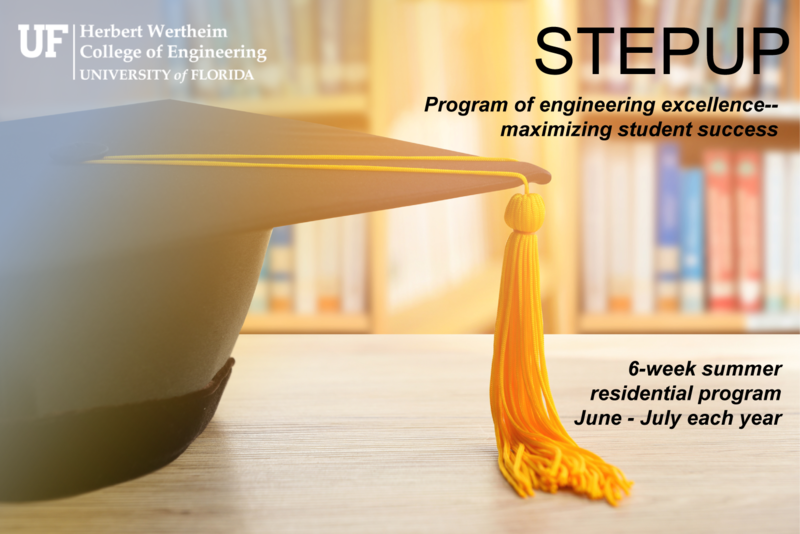 STEPUP is a part of the Herbert Wertheim College of Engineering’s (HWCOE) commitment to provide a diverse and inclusive learning environment through aggressive recruiting of underserved and historically underrepresented communities.